If you have unsecured credit card debt, keeping up with your payments is essential to ensure your credit history remains strong. Late payments negatively impact your credit rating. They also increase the fees that you owe, contributing to escalating debt. 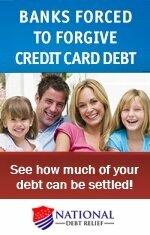 According to a report by the Federal Reserve Bank, about 12 percent of consumer debt is delinquent at any given time. That equals as much as $1.2 trillion in delinquent debt. While it might seem that all late payments are equal, the truth is that there are several stages of payment default, and each one has different consequences. The first stage of payment default occurs when you're payment is over due by 30 days or more. In most cases, the consequences are minimal. A late credit card bill payment might incur a penalty fee or cause your interest rate to go up. Certain utility bills cannot be past due for more than 30 days or your utilities will be shut off. In most cases, however, you should be able to deal with the creditor with a simple phone call. It might be possible to work out a payment plan or to request an extension to take care of your bill. Once you’re 60 days late, creditors will take more drastic measures. You might receive stern phone calls and letters letting you know the consequences of defaulting on your payment. Depending on the company, it might still be possible to work out a payment plan, but you’ll have to prove that you’re facing financial hardship and you might have to pay an additional penalty fee (or a higher interest rate) on top of your regular payments. Once debt is 90 days past due, the creditor is likely to report you to the company's internal collections department. This means two things: your current account and line of credit will be shut off, and your debt will be reported to the credit bureaus. 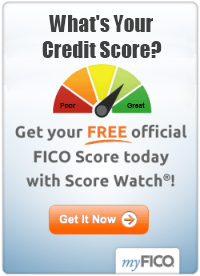 This has an immediate impact on your credit report and can cause your credit rating to fall up to 40 points. Even if you pay off your unsecured credit card debt completely at a later time, your delinquency will still show up on your report. This can affect your chances of qualifying for a loan and obtaining good interest rates in the future. Different companies have different time limits when it comes to paying off a debt. In most cases, ignoring a payment for more than 90 to 120 days will put you in permanent payment default. Your creditor will assume you have no intention of paying what you owe and will turn over debt collections to a third-party agency.At this point, you deal direction with the collections agency. In this situation, the Better Business Bureau recommends trying to negotiate a settlement, which involves discussing a payment plan that includes forgiveness of interest and late charges and/or a significant discount if you pay the debt in full by a certain date. Whether your unsecured credit card debt is turned over to a collection agency or not, there’s always a chance you’ll be sued for the amount you owe. If that happens, you may be able to buy some time by asking the creditor to validate the debt. This means they have to show proof that you actually owe them the amount in dispute. While you’re waiting for a response, you can decide what to do about the debt. It might still be possible to settle out of court if you can afford to pay. For more information on your options, please see the related articles below.